I designed the following questions to help me get a sense of how I can best serve you as a coach within the “Harness Your Muse” Mastermind program. Please take time with them, give your focus and honesty a chance to respond to them. Knowing what your dreams are – even if you think they’re impossible – are what help me steer my work with you. It also gives us a starting point we can come back to, to see if your dreams have changed, because sometimes they do! Small shifts can create huge transformations. Don't worry about getting the answers 'right' - seriously. Just have fun with them and be as honest with yourself - and me - as you can be. Then hit the "submit" button ... and I'll be in touch. NOTE: I recommend you cut-and-paste your answers into the form from another document, rather than typing them right into the form. This form is generally stable, but I always recommend having a backup of anything you submit to an online form, just in case the internet has a hiccup while you're filling it out. Once you hit "Submit" you should get an email with the answers you submitted so you have them for your own records. 1) What instrument(s) do you play and do you have a personal preference (meaning, which one(s) might you want to use in your mentorship project) ? 2) Do you sing, act, dance or use spoken word along with your playing (or do you want to)? Is there anything else you combine with music (or want to). 3) What do you personally experience as your strengths (the things you want to enhance about your performance, writing, playing or being)? 4) What do you personally experience as your weaknesses (the things you would like to make stronger or to change about your performance, writing, playing being)? 5) What are the top three challenges you experience in making your creative life work for you? 6) What "solutions" (if any) have you tried in the past? Did they help? How or how not? 7) If you could accomplish anything during this mentorship what would it be? What would you learn? What would you come away being able to do – even if it seems impossible or ridiculous? Describe it as lusciously as you can – what your life would look like if you accomplished this? 8) If you could do absolutely anything with you creative expression or with your life (or both!) – even if it seems completely impossible or ridiculous - describe what it would be. 9) If you were able to do this today, right now, what difference would that make in your life? What would you be doing that you’re not doing now and how would that affect your life? 10) If you could change one thing about you that you think would make this all just magically happen, what would it be? 11) If you could only keep one aspect of your personality (or personal characteristic), and had to let all the rest go, which one would you keep. Which one helps you have the most fun with life? 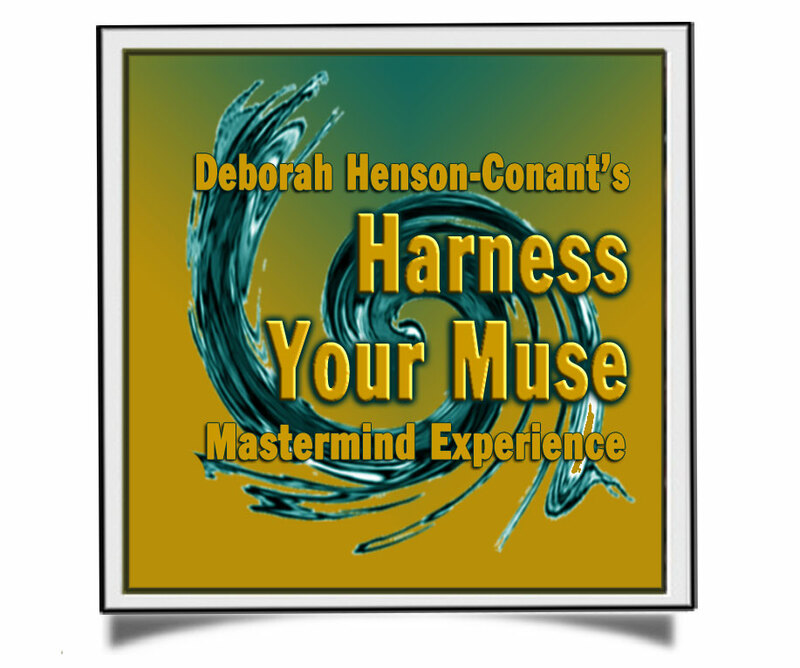 12) What scares you the most – and what excites you the most - about joining “Harness Your Muse” Mastermind? 13) If this mastermind included a Book/Movie Club what might you recommend - what are 3 books/stories/plays/movies you love and why? 14) Are you capable of making a large financial investment in yourself by joining the Harness Your Muse Mastermind ($9500)? 15) Is there anything else you want to tell me? Thank you! I look forward to seeing your answers, to our call and to the opportunity to work with you. Don't forget to hit "Submit"
NOTE: If the "submit" button doesn't seem to work, it's probably because you haven't filled out all the required fields - scroll up the form to look for red alert messages that tell you you haven't completed a particular section. Once you complete them, the submission button should work and you should end up at a 'thank you' page.